The implications of climate change for a global population of 9 billion people threatens to undermine the last half century of gains in development and global health. The direct effects of climate change include increased heat stress, floods, drought, and increased frequency of intense storms, with the indirect threatening population health through adverse changes in air pollution, the spread of disease vectors, food insecurity and under-nutrition, displacement, and mental ill health. 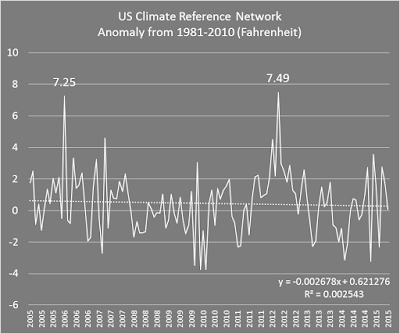 Hottest May on record at NOAA. Has the "pause" gone for good? NOAA has released the global analysis for May 2015. It reports that May was the hottest on record, beating the 2014 record by 0.08°C. NOAA has May higher than GISTemp, but that doesn't mean a whole lot. For one thing it's only one month. For another, GISTemp does change as it receives reports from around the world. Not all data comes in at the same time. 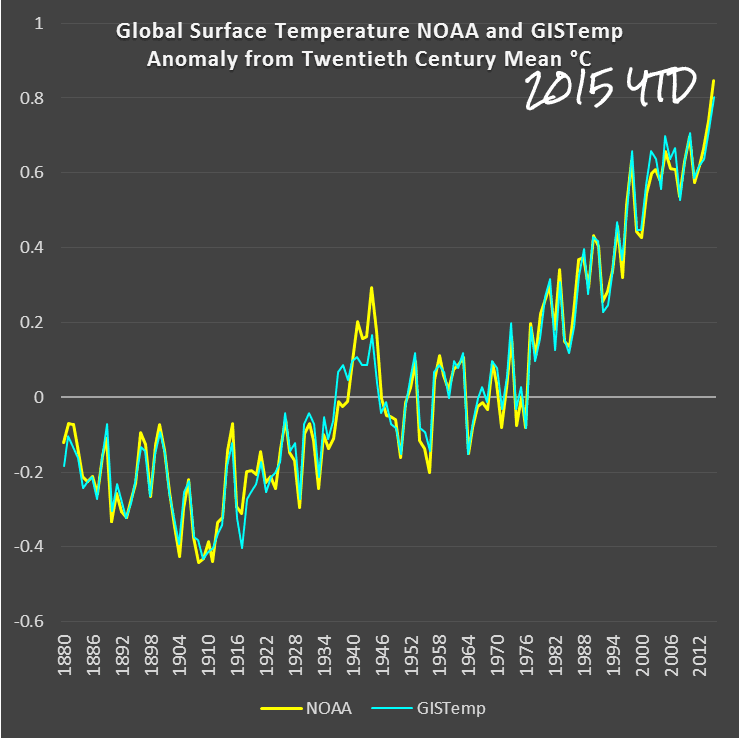 Here is a chart with both GISTemp and NOAA data. The chart includes 2015 year to date average, which might or might not drop as the year progresses. You'll notice that the Y axis is shifting higher. If it stays hot this year, any "hiatus" looks as if it will be nothing but a memory soon, with all the other hiati, sorry, I mean hiatuses of the past. 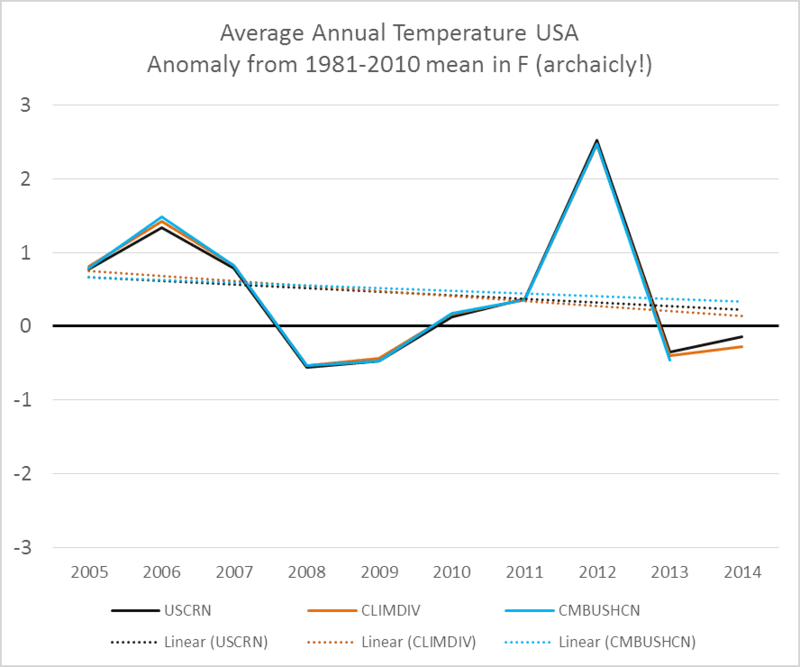 This is the update of the progressive year-to-date global average surface temperature, from GISS. This update includes May. 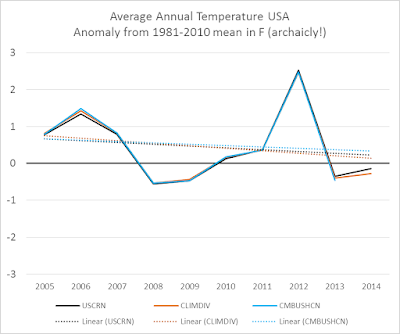 May was an average of 0.71°C above the 1951-1980 mean. May this year was equal second hottest with May 2012. 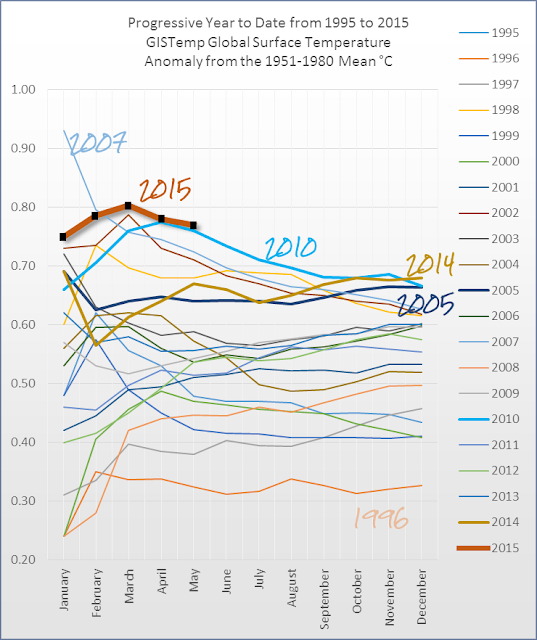 Every month this year has been at least 0.71°C above the 1951-1980 mean. The progressive year to date average up to and including May is 0.77°C above the 1951-1980 mean. 2015 is still ahead of the pack so far, just ahead of 2010 for this time of the year. The years to watch are 2014, 2010 and 2005. I've plotted them with slightly thicker lines so they stand out more easily. I promised to provide a data file because the chart is so messy. You can access it here on Google drive. 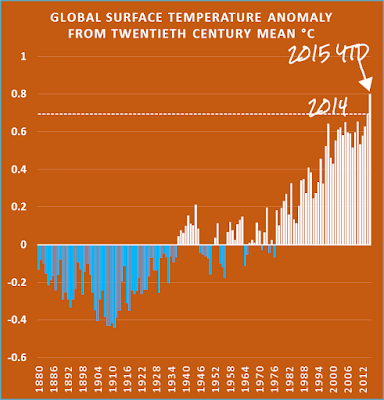 Watching the global thermometer - year to date with April 2015 and the same with YTD to March this year. Science does not deal in certainty, so "fact" can only mean a proposition affirmed to such a high degree it would be perverse to withhold one's provisional assent. 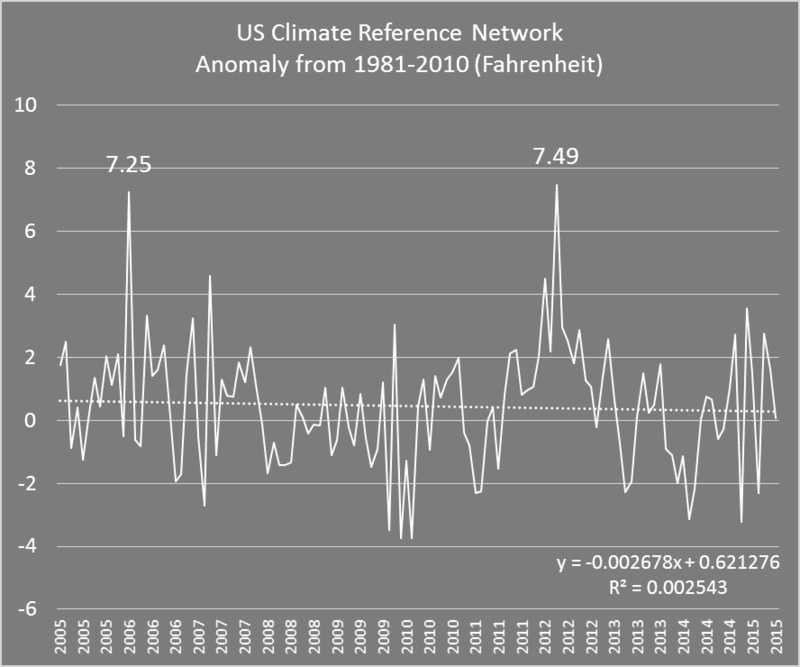 What follows is copied from a comment posted here at HotWhopper, from Tom Peterson of NOAA, co-author of the new paper in Science, and President of the WMO Commission for Climatology. The email exchange is about a subject of much recent discussion - the new Science paper, which I described here (with lots of links at the bottom for further reading). 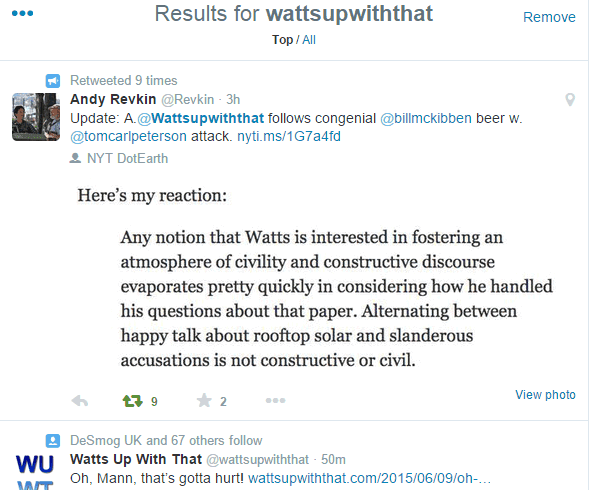 Tom has subsequently confirmed the email exchange and kindly gave me permission to repost his comment as a blog article. 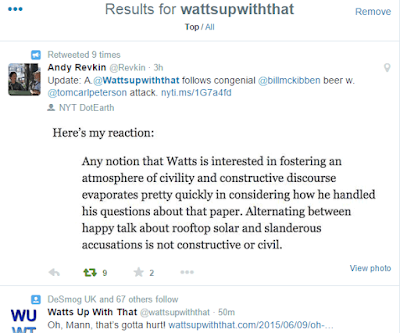 Apart from remarking on Anthony's conspiracy ideation, there's not really anything more I need add. The exchange speaks for itself - and speaks volumes.